1. Provide a social outlet and value to ten or more liked-minded golfers. 2. Be affiliated with a regional golf association (like the SCGA!) 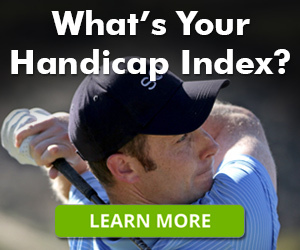 for the purpose of providing legitimate Handicap Indexes. But finding one that fits your personality, your game, and your schedule can often be anything but fun. A quick Google search of the term “golf club” will give you a mixed bag. (And 1,640,000,000 results!) You’ll almost certainly see something from a local sporting goods store about the newest Callaway driver. There will be plenty of golf courses and facilities near you with “Golf Club” in their name. You might even see something for a new golf simulation video game. Sometimes lost in this shuffle is one of the most common meanings of the word “club”, both in and outside of golf: a group of people coming together for a common interest. In this context, most golfers are familiar with clubs or groups that organize around a home course, whether that be a private facility or the local muni. However, there are also thousands of groups that don’t claim a home course and decide to play different courses throughout the year. Called “travel clubs” or sometimes “affiliate clubs”, these groups are made up of friends, co-workers, alumni or some other lifestyle trait, and will play a multitude of different courses throughout the year. No matter what kind of group interest you, each club has their own style that makes them unique. There are clubs that exist for every demographic of golfer: men and women, seniors and millennials, beginners and scratch golfers, firefighters and film editors. There’s also a wide variety of events that these groups hold, from competitive individual tournaments, to team competitions, to skins games, to social outings. And it’s not all just about the golf; more clubs identify as a place for fun, social outings than strictly for competitive golf. Tired of playing alone? Looking to grow your network of golf buddies? There are over 1,500 golf clubs in Southern California, so whether you’re a Happy Gilmore or a Judge Smails, there’s a group of golfers like you out there.